Miss Peregrine's Home for Peculiar Children is an American fantasy film. The film is based on the novel of the same name and is directed by Tim Burton. It stars Eva Green (Miss Peregrine), Terence Stamp (Abe and Jake's grandfather), Asa Butterfield (Jake) and Ella Purnell (Emma, Jake's love interest) in important roles. The film is about Jake who is born with unique abilities. During Jake's childhood, Abe would narrate stories about spending his childhood living at Miss Peregrine's Home for Peculiar Children. When Jake grows up, he goes on a vacation with his father to Wales to discover the hidden home of gifted children. He finds an old house that was bombed during World War II. 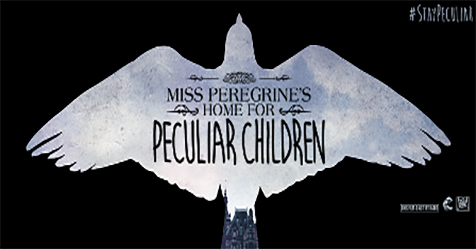 He meets there Miss Peregrine, Emma and other gifted children, who explain to him that they live in a time loop that is set to 3 September, 1943. The way Emma helps Jake to solve the mystery of the old house forms the remaining part of the story. The film's screenplay, plot and performances of the cast are overall well-balanced. It is a must watch for viewers who love watching typical horror films.